Etsy sellers find a hard time selling because they are unable to extract meaningful insights from their business. But now with this in-depth business reporting solution, it won’t be the case. Why you need reporting for your Etsy store? With stiff competition, the simple Etsy shop stats won’t lead you anywhere. A complete and in-depth reporting tool is a must for your Etsy store to survive. These reports and analytics will point out all the much needed facts and figures. Use this data to grow your business without yourself going through any cumbersome tasks. First, let’s take a look why Etsy is a prefered marketplace as well as where it lacks in reporting. Standalone Etsy reports provides just your sales and transactions details along with some visitor insights if you connect your Google Analytics account with it. It basically includes just the number of pageviews/visitors count to your items but isn’t the unique count. Thus, these Etsy reports or stats are just an overview and not insights which your business needs the most. Etsy shop stats shows you a global dashboard giving you quick overview of the stats. Here you can see visits, orders, and revenue for time frame of your choice under the category Traffic. The other two being ‘Listings’ & ‘Customers’. There’s also the transactions report, which you can download as a spreadsheet CSV file. Additionally, you may download a separate CSV file with all of your Etsy Payments activity for the year. Let’s drill-down further into the three categories: Traffic, Listings & Customers. This report gives you a breakdown of traffic information for a specific source you have selected. For example, if you’re looking at Etsy traffic, you might see Search or Etsy Home Page. This report shows you the most and least visited listings as well as rank of all listings. At the top right, you can change what sales channel (All Shops, Etsy, Pattern, Wholesale, Etsy Studio) you want to see or the date range. Also, you get the count of number people adding your listing to their favorites. It’s not the sales you made, just the count. Along with complete sales and transactions data, you must know your individual product performance. On top of that, you need to analyze which customers are buying what and how much is their spending power. And that’s where Etsy reporting falls behind to bring up these useful insights. Without these insights, you can’t grow your business. 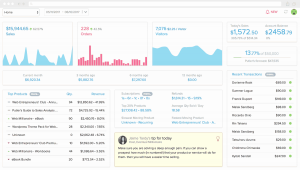 Etsy reports just gives you a glance of your transactions and sales you make. It doesn’t provide additional sales and transactions metrics like sales heatmap, maximum and minimum time of sales, provision to issue refund, etc. Etsy doesn’t provide any insights into which products are in trend, which products do not get sell or the product leaderboard that indicates each product performance. You must know the who are your best and most profitable customers as well as those customers who haven’t made a purchase since a long time. In addition, every customer detail as to what they purchase, their spending power, personal details, etc. are not available with Etsy. Is Putler The Best Reporting Tool for Etsy Shop? 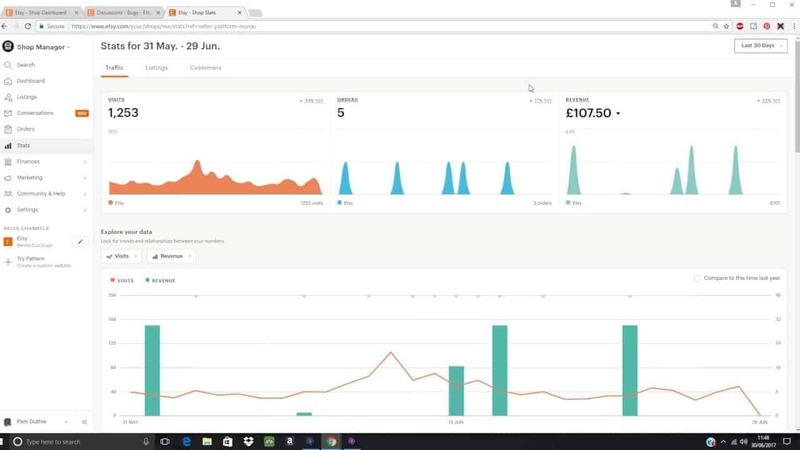 Putler is an all-in-one ecommerce reporting and analytics solution for your business. Be it Etsy, PayPal, WooCommerce or Google Analytics, it gives you solid insights to grow your business. For all those Etsy store owners who are looking out for a complete reporting solution and grow their Etsy business, Putler is the best tool you would ever come across. What’s missing in Etsy, is all covered up in Putler. Plus a lot more. Multiple Etsy store consolidation:- Even if you have multiple Etsy shop and selling hundreds of items, you can easily connect them to Putler and can view combined as well as individual stats for each of your Etsy store. Complete Sales & Transactions Data:- Sales Heatmaps, time for maximum and minimum sales, related transactions, provision to issue refund directly, etc. are all available in Putler. Actionable customer insights:- RFM Analysis – 11 customer segments revealing complete details of who are your best customers, worst customers, customer needing immediate attention, etc. Deep product information:- Product leaderboard, top sellers, which customer purchase which product, etc. Multiple payment gateways / shopping carts consolidation:- Not just Etsy stores, connect any of your desired platform – PayPal, Stripe, WooCommerce, etc. and see accurate stats for them too. Subscription metrics – MRR, LTV, Churn, etc. Etsy is a good marketplace to sell products and grow business. But the strong competition has made it tough for sellers to grow their business. Add to it the incomplete Etsy reports. Hence, if your want to grow your Etsy business, Putler is the best tool for you. With our out of the box Etsy connectivity, you can easily import all your Etsy transactions into Putler and instantly see insightful statistics about sales, customers and products. Disclaimer: The term ‘Etsy’ is a trademark of Etsy, Inc. This application uses the Etsy API but is not endorsed or certified by Etsy, Inc.